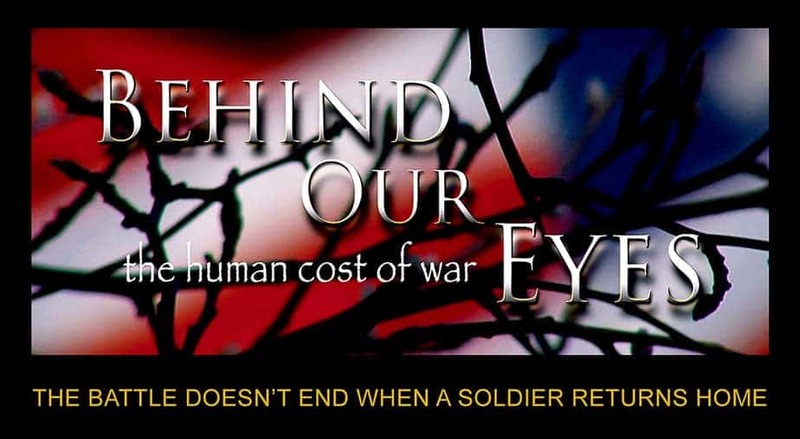 BEHIND OUR EYES: the Human Cost of War explores the emotional and psychological aftermath of war, the implications and affects on the families and society and paths towards healing. In the film, we meet veterans who served in WWII, Korean War, Vietnam War, Persian Gulf War, Iraq & Afghanistan Wars- all of whom bear lasting wounds invisible on the outside. These brave men and women share their stories, giving a face and voice to the devastating issues that have plagued soldiers returning home from every war. BEHIND OUR EYES features stories of four young Marines from different parts of the country, all suffered extreme difficulty transitioning to life back home after combat in Iraq and Afghanistan. 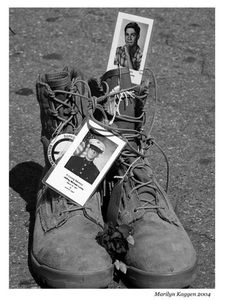 Tragically, these young men fought the hardest battle of their lives on American soil. Fending off the stigma of Post Traumatic Stress Disorder (PTSD), feeling deep emotional homelessness, they fell through the cracks of a broken system that ultimately failed them, and finally succumbing to their hidden wounds by ending their lives. The reverberations from their heartbreaking suicides set off a powerful chain of events that must never be forgotten. Overlooked are the families of veterans who suffer tremendously while trying to understand and find help for their sons and daughters, husbands and wives. 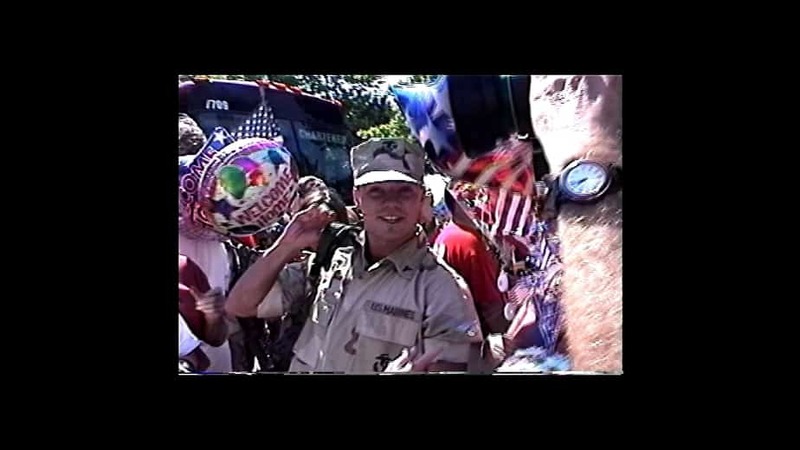 In the film, we meet families of men and women who served in Iraq and Afghanistan Wars, as well as daughters of WWII and Vietnam War veterans, who share stories about their fathers’ return home, detailing the effects of the hidden wounds on the entire family. Veterans from all wars, across generations, bear hidden battle wounds, resulting in a crippling emotional “homelessness” that can destroy lives and inflict immense collateral damage on family and friends. 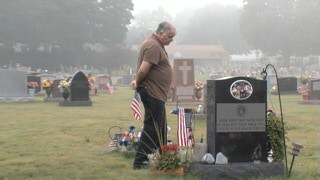 According to a report released on February 1, 2013, 22 U.S. veterans commit suicide every day- one every 65 minutes. However, only 21 states reported their data. How many more are not counted in this report? Most recent report in 2016 states 20 veterans per day commit suicide. This is America’s greatest tragedy. Post Traumatic Stress Disorder (PTSD), depression, Moral Injury, and Traumatic Brain Injury (TBI), while widely acknowledged among soldiers who fought in the Iraq and Afghanistan conflicts, are not new conditions. In the Civil War era this altered post- war psychological state was known as Soldier’s Heart. Soldiers receive treatment for physical wounds, however the hidden wounds- the emotional and psychological wounds- are being treated (or untreated) by a system that is under-staffed, under-funded, inconsistent, and not properly monitored. Ignoring historical evidence from the Vietnam War, there was an under-estimation of the number of soldiers who would need help with these hidden wounds upon their return from the wars in Iraq and Afghanistan. Ultimately, this film is about hope and features stories of tremendous courage, success and inner healing from veterans who have learned to manage and cope with their hidden wounds every day of their lives. 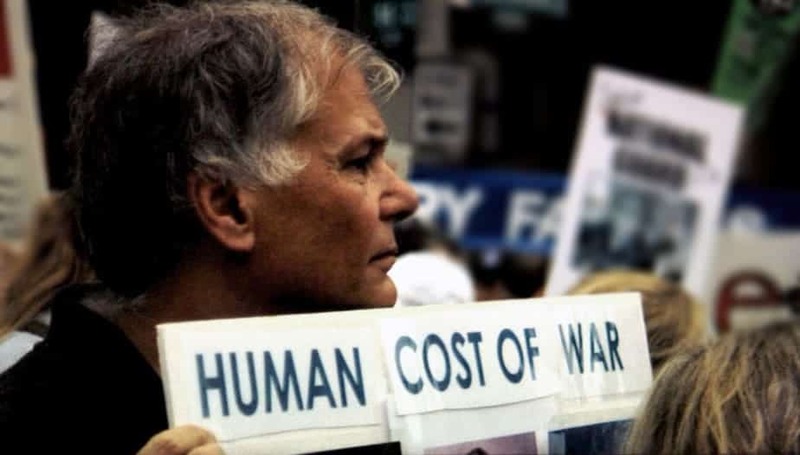 It is time for all Americans to give back far more than the empty words, “thank you for your service.” We all must share responsibility in some form- to care for those who sacrificed so much, to be well- informed and painfully aware of the consequences and implications when human beings are sent to war. Copyright 2019 © Jam On Toast Productions, Inc.
© 2019 Behind Our Eyes: the Human Cost of War.